There are 15 training hospitals in our region. Of the these, 14 are metropolitan and one regional (Toowoomba Hospital). Choosing which hospitals to train in is a big decision. Every hospital is dedicated to teaching and has a busy emergency department, but they vary their medical and surgical focus. Each offers invaluable experience. Note that reported numbers of beds are a most recent count but may not be up to date. All hospitals are public unless otherwise specified. Caboolture Hospital is a major metropolitan hospital with 216 beds. There are about 23,700 admissions each year. This includes 2,000 births, 14,700 emergencies, 2,000 surgeries and almost 1,400 mental health specialist appointments. Caboolture Hospital has recently increased its support system for stroke sufferers, allowing it to support 200 stroke patients each year. It has also committed to improving access to maternity services for women throughout their pregnancy, with a group of midwives caring for over 800 women per year. The hospital also offers a range of allied health services including audiology, dietetics, speech pathology and physiotherapy. This 630-bed hospital provides specialist cardiac services for the whole of Queensland and northern New South Wales. Its statewide services include heart and lung transplantation, cystic fibrosis, congenital heart disease, advanced heart failure, percutaneous valve therapies, and complex cardiac care. PCH is home to the Queensland Heart Failure and Transplant Unit (QHFTU), the Indigenous Cardiac Outreach Program (ICOP) and one of Australia’s most advanced cardiac imaging programs. The hospital is a leader in research, hosting multiple research programs and regularly publishing groundbreaking and sometimes award-winning discoveries. PCH is a major training site for cardiothoracic subspecialties, and this is a role it takes seriously. Resident and registrar teaching sessions occur multiple times daily, and an echocardiography teaching teleconference takes place weekly, with many hospitals throughout the state participating. PCH also offers a range of other specialties and has a brand new, state-of-the-art ED and ICU. Redcliffe Hospital represents the major health hub in the area, with 240 beds and a range of specialties. Over the past decade, Redcliffe Hospital has undergone several developments. The medical imaging unit now includes two radiography rooms and a dedicated ultrasound department; the paediatrics ward has been expanded to include extra beds, a play area, and a paediatric outpatient department; and two operating theatres are being upgraded. Redcliffe Hospital has also introduced a student-led paediatric psychology clinic, the first of its kind, to reduce waiting times for young people with psychological or psychiatric conditions. Redcliffe Hospital partners with Medicare Local and Subacute and Ambulatory Services (SaAS) to develop a comprehensive Hospital in the Home (HITH) service. This will play a key role in managing chronic disease in older patients. RBWH is the largest hospital in Queensland with 929 beds, and accounts for around 10 percent of patient services in the state. It incorporates all major specialties as well as 30 subspecialties, including AIDS, clinical genetics and sleep. Even with such a massive scope, in 2013 its ED had the highest level of patient satisfaction in Queensland. RBWH has partnered with over 17 tertiary education providers and even the Australian Defence Force to support clinical research, constantly pursuing newer and better treatments for its patients. Its most groundbreaking partnership is that with The University of Queensland, the QIMR Berghofer Medical Research Institute and Queensland University of Technology to develop the $24 million Herston Imaging Research Facility (HIRF), which gives researchers unprecedented access to high-quality imaging equipment and allows the rapid translation of research into clinical practice. RBWH also boasts the world’s first continuous flow PET-CT scanner. The hospital is also leading the field in other departments, hosting Queensland’s only public hospital Milk Bank and Australia’s first Across the Lifespan 3D Motional Analysis Centre. Located just 5 km from Brisbane CBD, Greenslopes Private Hospital is Australia’s leading private teaching hospital, owned and operated by Ramsay Health Care, a renowned global hospital group. With 528 beds, Greenslopes is an award-winning world-class facility that employs many eminent specialists and continually invests in new technology to ensure access to the latest medical and surgical treatments for its patients. Greenslopes’ GP education programs follow the same ethic, aiming to expose training GPs to medical advances, up-to-date evidence-based medicine and topical issues. Located in the Ipswich CBD, 40 km west of Brisbane, this major public hospital offers services in all chief health specialties. With 351 beds, it serves not only Ipswich but also the surrounding communities of Esk, Laidley and Boonah, and handles over 40,000 admissions per year. Nearly half of these are emergencies, making Ipswich’s ED one of the busiest in Queensland. Accordingly, a recent expansion included upgrades to the emergency department, operating theatres, birthing suite and the intensive care unit, to cater for the growing health needs of the region. The Ipswich Hospital takes its role in clinical education and training seriously, and provides telehealth services to support its registrars and ensure optimal patient care. The new 359-bed Lady Cilento Children’s Hospital (LCCH) is the state’s only specialist paediatric hospital. LCCH puts an emphasis on working together with children’s families and carers to share knowledge and experience and give children the best possible care. Even the design of the hospital was developed in consultation with children and their families to create an environment that is not only practical but also comfortable, fun and engaging. The award-winning design takes into account the importance of environment in the healing process, maximising access to outside views and natural light. LCCH also works closely with other hospitals throughout the state, providing outreach clinics and telemedicine services. LCCH is leading the way in paediatric education and research in partnership with the nearby Centre for Children’s Health Research, where LCCH doctors work with researchers to bring breakthroughs in paediatric medicine to children as quickly as possible. Run by Metro South Health, Logan Hospital provides a range of specialty services and has one of the busiest EDs in the state, seeing more than 75,000 presentations each year. Logan Hospital has grown from 48 beds in 1990 to 344 beds today, mirroring the rapid growth in population in the region. Patients at the hospital are generally younger and often come from diverse cultural and linguistic backgrounds. In 2014, Logan Hospital expanded to include a new multi-storey building, and with the addition of an eighth surgical theatre, the hospital now performs 12–15 major surgeries and 40–50 minor surgeries every week. The expansion also included a new children’s inpatient ward, a 24-bed rehabilitation unit and a new cardiac catheter laboratory. Logan Hospital has strong ties with Queensland tertiary institutions as part of its commitment to education and research. Established in 1911, the 262-bed Mater Adult Hospital has a full range of medical and surgical specialty units and modern facilities. It focuses on the importance of continuity of care, working hard to coordinate inpatient services, outpatient clinics and community outreach services. 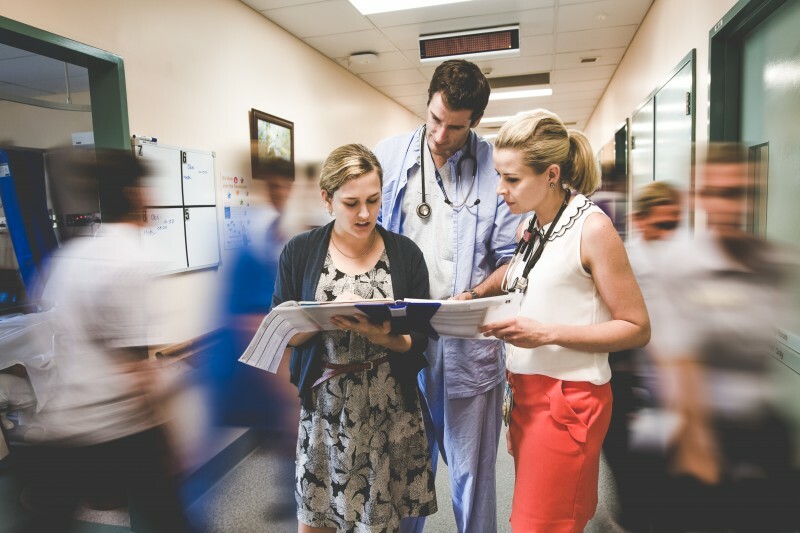 Mater Hospital is known for its innovative approach to patient care management and is a lead hospital in the National Demonstration Hospitals Program, which aims to reduce wait times and improve patient outcomes. In fact, Mater Hospital’s novel post-acute early discharge programs are now used in hospitals throughout Australia. Mater Hospital’s surgeons have recognised expertise in women’s health, orthopaedics, urology, ophthalmology, vascular surgery, oral/faciomaxillary, plastic and reconstructive surgery, surgical dermatology, and ear, nose and throat. Mater Mothers’ Hospital is famous for the high quality of its maternity services. The hospital works hard to give its mothers the most enjoyable and stress-free experience possible, with all twin rooms including an ensuite, personal baby bathing facilities and a patient entertainment system. Mater’s state-of-the-art maternal fetal medicine service provides expert diagnosis and management of complex obstetric cases, while its Neonatal Critical Care Unit, which includes intensive care, high dependency and special care cots, is considered one of the best in Australia. If you have an interest in obstetrics and gynaecology, this is a great place to work on your knowledge and skills while exercising the highest standard of patient care. Princess Alexandra Hospital (PAH) provides care in all major adult specialties except obstetrics. It serves a population of 1.6 million people with 780 beds and over 100,000 admissions per year. PAH’s trauma management service is nationally recognised, and the hospital is a major transplantation centre for livers, kidneys, bone, cartilage and corneas. In fact, PAH runs several statewide services, including the Acquired Brain Injury Outreach Service, the Queensland Spinal Cord Injury Service, the Queensland Liver Transplant Service, the Queensland Eye Bank, and the Queensland Bone Bank. It also has an aeromedical retrieval service, a road accident response service and a major trauma retrieval service. PAH is also one of Australia’s leading academic and research health centres, hosting Australia’s most advanced medical research facility, the Translational Research Institute (TRI), and a new $15 million Head and Neck Cancer Centre, which offers intracranial stereotactic radiosurgery for brain tumours to allow delivery of highly targeted, high-dose radiation. Queen Elizabeth II Hospital (QEII) is a comparatively modest facility, with approximately 100 beds. It offers a range of general medical and surgical specialties but focuses on lower limb orthopaedic surgery – including knee and hip replacements and arthroplasty – gynaecological surgery, urodynamics and urological surgery, aged care and rehabilitation. It boasts the most advanced endoscopy suite in Australia, which uses endocapsule technology for early detection of small bowel tumours. QEII has recently undergone a massive expansion to its ED, which has seen it grow to three times its previous size. This has vastly improved the hospital’s National Emergency Access Target performance, increasing from 62 percent to 82 percent within 12 months. It features a 12-bay transit lounge which reduces the hospital’s average length of stay, 11 fast-track treatment spaces, 10 acute care cubicles, three resuscitation bays, two negative pressure isolation rooms, two triage bays and an additional eight-bed short-stay unit. Redland Hospital is the major health centre for Redland City and Brisbane’s southern bayside suburbs, featuring approximately 200 beds and providing a range of specialties and allied health services. Redland Hospital places a special focus on aged care. Its specialised acute stroke unit cares for the majority of stroke patients in the area, and it offers five in-house palliative care beds for patients with a lifelong illness, plus five ‘virtual’ beds for in-home care. Redland Hospital is also closely associated with a new community health precinct in Wynnum, which provides general practice, residential aged care, allied health, radiology and pathology services. In 2012, Redland Hospital completed a $13.6 million expansion of its ED and paediatric service, which included the creation of a dedicated paediatric emergency waiting and treatment area and paediatric ambulatory services wing, plus an expanded emergency short-stay unit and paediatric ward. This heritage-listed public hospital dates back to 1880. The hospital has more than 300 beds and offers a range of services including emergency, geriatric, oncology, paediatric, psychiatric and rehabilitation. According to MyHospitals’ latest data, 100 percent of patients received urgent surgery within 30 days at this hospital, compared to a national peer group performance of 94 percent. Gold Coast Health provides care throughout the Gold Coast region via its two public hospitals, GCUH and Robina. Both have recently been upgraded and expanded. GCUH is a large hospital with seven buildings and 750 beds, while Robina Hospital has 364 beds. 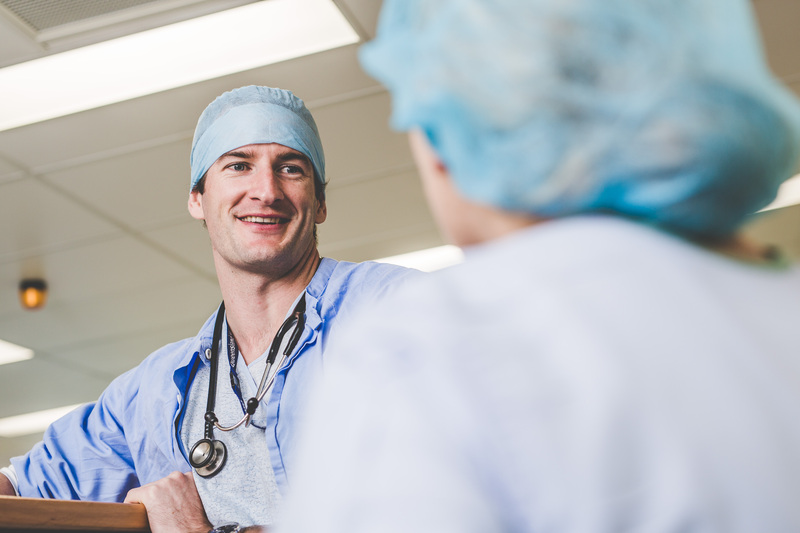 Gold Coast Health is committed to education, training more medical students than any other Australian hospital in its state-of-the-art facilities. Its Gold Coast Hospital Foundation raises funds to support research and education, and Robina Hospital includes a Clinical Education and Research Centre. Services include all major adult specialties as well as excellent children’s services, including dedicated paediatric treatment areas in the ED and ICU, and a children’s inpatient unit with indoor and outdoor play areas and a school room.